70s rock, 30s swing, hiphop, triphop, pop, jazz, soul, classical music are as many shades N’to can use to colour his tracks. However it is through electronic music that he expresses and fulfills himself completely. 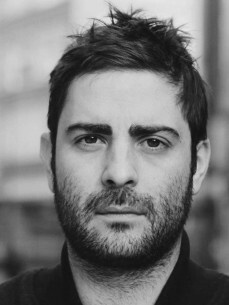 He creates a distinctive, pure and « pointilliste » sound that already makes him a key player on the French techno market. He works every inch of his generous rhythmic, he deconstructs the sounds, betrays our habits and yet those melodies of his go straight to the point and far beyond our expectations. Creating Hungry Music label alongside with his friends Worakls and Joachim Pastor is a chance for him to let his imagination and musical eclectism flow freely so that he continuously reinvents himself. That’s how appeared his latest project, N’to Perc Live 2015, illustration of this blurring of the borders between electronic and acoustic.